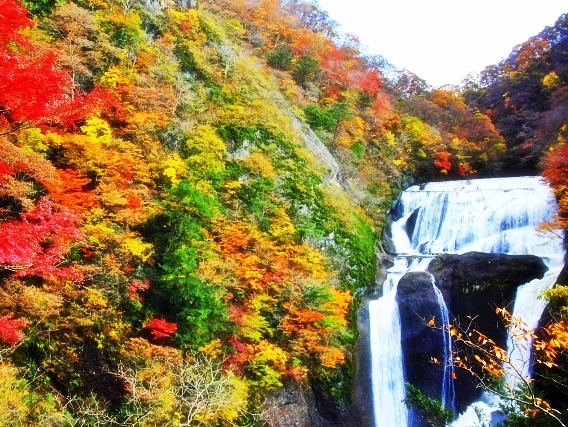 Naruko-kyo or Narugo-kyo is a famous tourist site for momiji-gari (refer to #263). 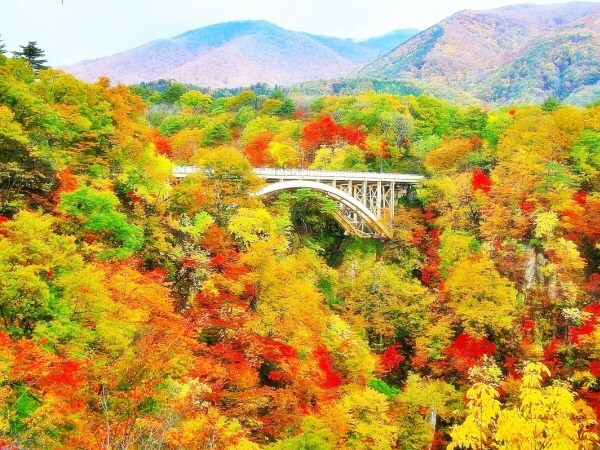 It is located in Miyagi Prefecture. The word "kyo" in "Naruko-kyo" is a canyon in English. Naruko Hot Spring is listed as one of 100 Great Hot Springs in Japan. Also, it is selected as one of the three greatest hot springs in the Tohoku Region (refer to #136).